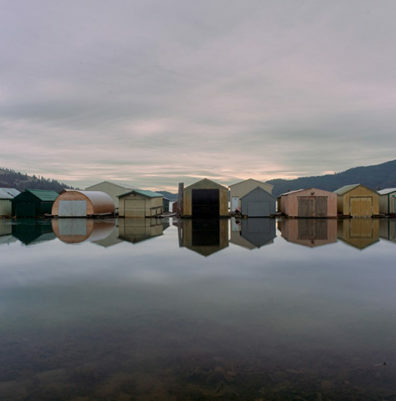 The interconnectedness of communities and the way people form a sense of place are central themes in Confluences, an ongoing, lens-based project by Dennis DeHart, assistant professor of fine art at WSU Pullman. Through landscapes, portraiture, video, and archival images, DeHart’s multimedia project explores a large portion of the Columbia River Basin, in Washington, Idaho, Oregon, Wyoming, and Western Canada. “The images engage with Native American history, land use, environment, energy, poverty, agriculture, and industry…to express the unparalleled beauty and tragedy of the dynamic and complex landscape and its inhabitants,” DeHart said. He has published the work at different stages in an architecture journal and in an exhibition in Dublin, and lectured about it at the Université de Nantes, France. It next will appear in a solo exhibition opening Sept. 28 at University of the Pacific in Stockton, Calif.
A native of Oregon, where the Columbia River is a dominant feature of the landscape, DeHart completed his master of fine arts degree in New Mexico and worked in New York and around the Puget Sound before moving to the Palouse in 2010. As he began exploring the area around his current home, he felt drawn back to the river and its network of contributing waters. He also began exploring the concept of bioregionalism, a system of thinking that defines areas not by political borders but by geographical features and ecological similarities. These new insights inspired him to take a wide view of the area, leading to the creation of Confluences. By speaking with a range of people—from landscape architects to scientists, environmentalists to salmon researchers—DeHart started to piece together an understanding of the Columbia Basin, and how the river systems connect and feed the identity of the entire region. The ongoing work began in 2012 and currently includes four parts, which he refers to as “short stories.” He is now working on photographs and video pieces that explore the historic significance and current challenges faced by salmon. The fish, which are culturally significant especially to Native American in the Northwest, travel hundreds of miles to and from the Pacific Ocean through the inland river systems. Part one of the project provides an exploratory overview of the region. We see tree farms, shooting ranges, boathouses on a glassy lake, and bridges that span the rivers. In one image, a signpost in the shape of a salmon stands at a section of river, bearing a warning for fishermen or swimmers. In another we see the front gate of a military chemical depot. DeHart’s portraits show people he came across—mostly by happenstance—during his explorations on foot, by bicycle, and by car, often with his children in tow. In one photograph a bleach-blonde young woman poses in front of long-vacant storefront. 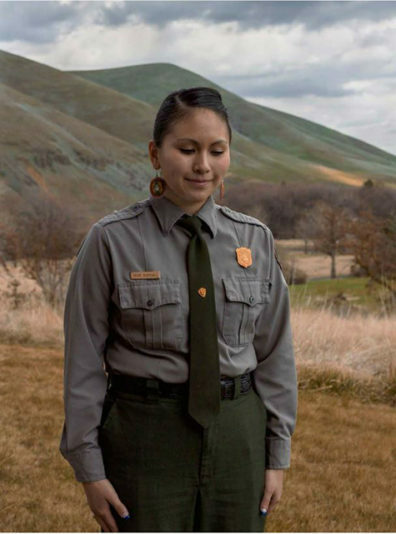 In another, a ranger at the Nez Perce National Historic Park in Idaho stands in her uniform with her arms at her sides. 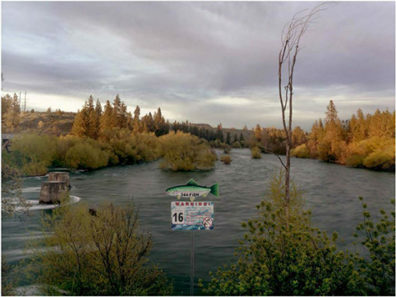 For “Heavy Metal,” the series that forms the second part of the project, DeHart made photographs along a 73-mile recreational trail built atop a former railroad in Silver Valley, a large, former mining district in northern Idaho that is a Superfund site. The tranquility and natural beauty of the landscapes belie the environmental impact of the mining operations. DeHart’s approach to the project is multidisciplinary, imbued with shifting layers and entry points. 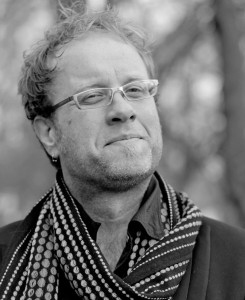 “I am examining place by employing a diversity of creative and conceptual strategies that weave together multiple points of view and disciplines,” he said. He has consulted with hydrologists, geologists, and other experts to learn about the environmental history, ecological impacts, and future of his focus area. One of DeHart’s primary aims for the work is to spark discussions about land use and conservation, river ecosystems, and other issues. “I’d like people to enjoy the photographs, to visually be engaged with the spaces and the people and the places, but I’d [also] like to have a conversation,” he said. He’s interested in “this broader idea of place and what place means, and valuing place and understanding my own place. I’m really passionate about what I’m doing and I’m always just excited about learning more,” he said. When teaching about photography, DeHart emphasizes the difference between the conscious act of “making” a picture and the passive act of “taking” one, which he calls a form of recording. “Making a picture is fundamentally an active process that is about conscious choices, which includes framing the image technically, conceptually, emotionally, aesthetically, and formally,” he said. During the past five years, DeHart simultaneously has been developing a series of photographs titled At Play, presenting a semi-autobiographical exploration of fatherhood, family, and nature play. “As a child, I spent a significant amount of time with my grandfather, who was an Oregon mountain-man type, who had a passion for the outdoors,” he said. Spending time in nature is part of his cultural heritage that he wants to pass along to his children. with excerpts from an “Interview with Dennis DeHart about ‘Confluences’” by Heather Jane Bayly in Transatlantica. See more of Dennis DeHart’s work on his website. A working draft of the Confluences catalog also can be viewed online.